GOLDEN SNITCH: Often called the Snitch, is the third and smallest ball used in Quidditch. It flies around the Quidditch field at high speeds. 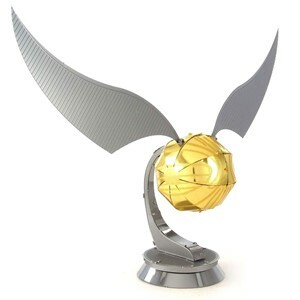 The objective of the Snitch Snatcher, or Seeker as they are called, is to catch the Golden Snitch and win the Quidditch match. 2 sheets of parts. Easy difficulty.